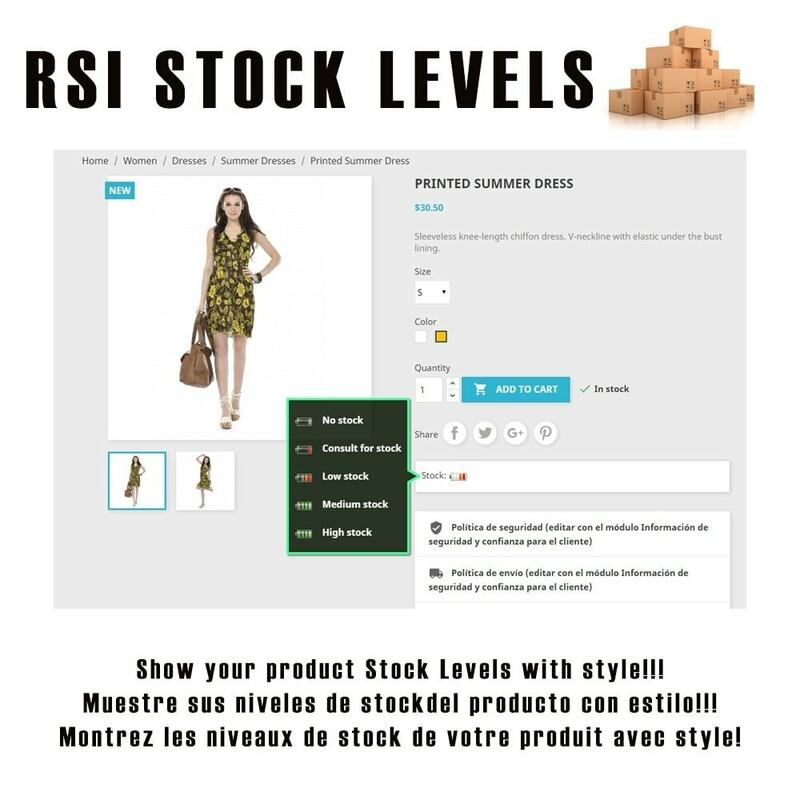 Show the stock level of your products with icons to improve the user experience on your site, and display a popup for each stock level like AVAILABLE IN 42HS, etc. You can also configure the colors of the information popup, as well as the size and style of the icons. 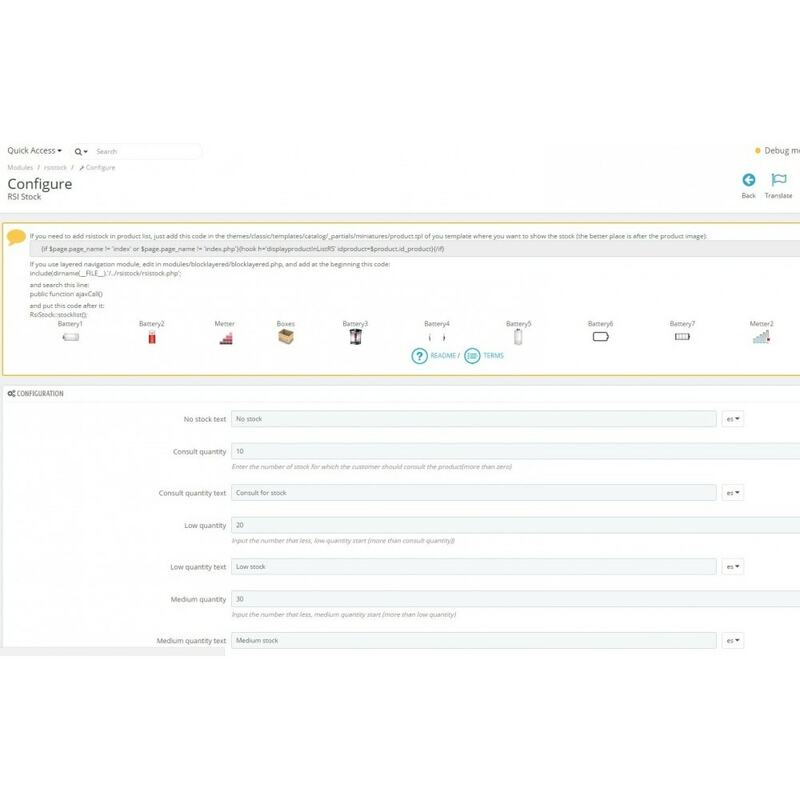 You can show the stock icons in the product page or in the product list (categories). Inform your customers about the stock status of interested products. Show a special labels both image or text-based on a product page to be helpful.